I had hoped to get a few good photos of a single sandhill crane (Grus canadensis) in flight during our visit to Bosque del Apache National Wildlife Refuge. Sandhill cranes are relatively large birds, meaning they are relatively easy to find in the viewfinder and they fly relatively slowly, helpful characteristics for a struggling bird photographer. The best ones I shot were taken on the final morning of our trip. This one was nearly at eye level, having just taken off from one of the crane pools shortly after sunrise. 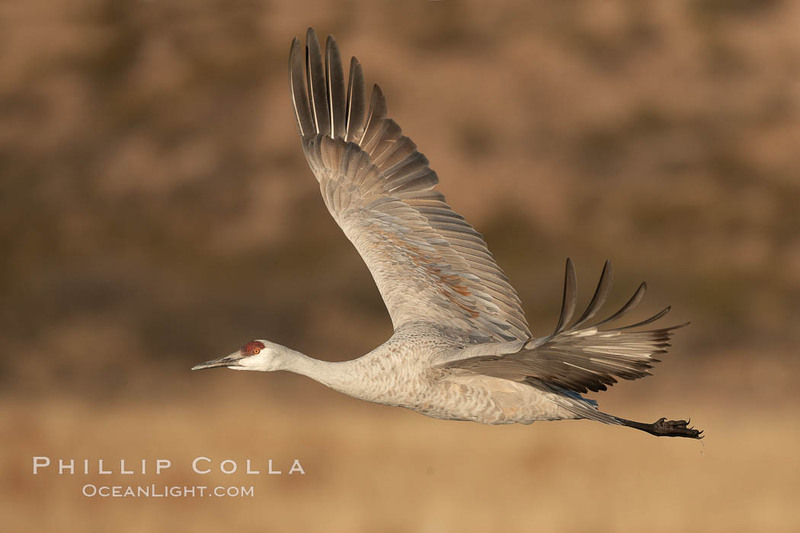 See more photos of Bosque del Apache National Wildlife Refuge and photos of Sand Hillcranes.